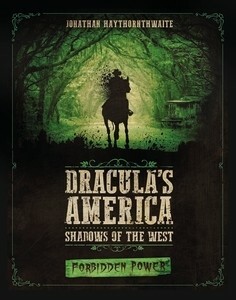 "This new supplement for Dracula's America: Shadows of the West introduces two new factions: the corrupt cultists of the Church of Dagon and the Salem Sisterhood, occult practitioners whose history dates back to the early Colonies. New stealth rules allow for all manner of sneaky and underhanded tactics, while expanded rules for arcane powers offer glory but could cost you your sanity. Alongside these are a host of new scenarios, Hired Guns, monsters, skills, and gear to challenge or assist those who dare venture into the Deep South of Dracula's America."